Once you have successfully downloaded and installed Avare, registered and accepted the Terms and Conditions, the program will automatically download the database (this file is required for operation). You will be presented with the main download screen. There are 14 sections to the downloads, and multiple download options within each section. Normally, you would not need to download every chart from every section. 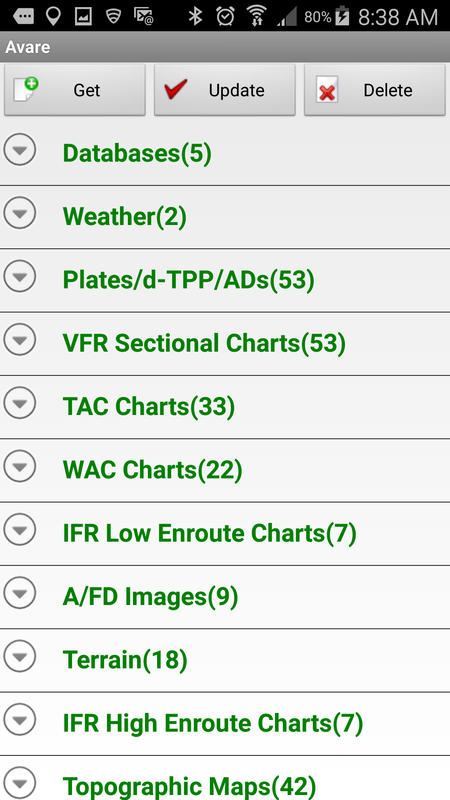 For example, if you fly only VFR, there is no need for you to download the IFR charts. Or, if you only fly, say, within the general Los Angeles airspace, you would not need to download charts relating to Eastern, Northern or Southern areas. 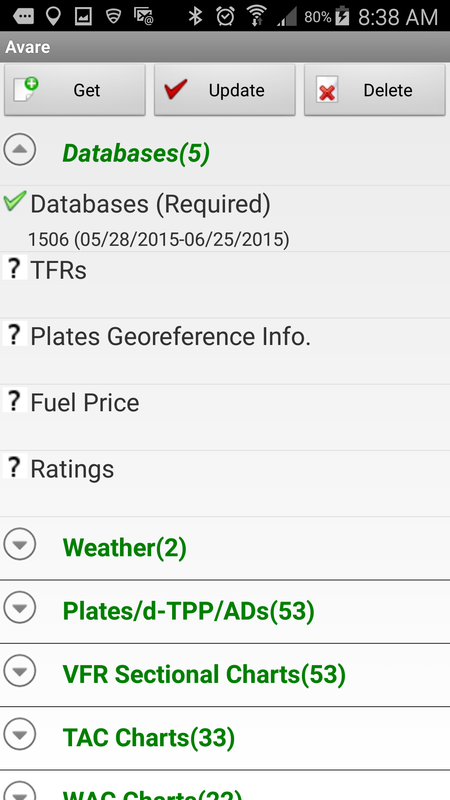 The difference to this are the Database and Weather sections. It is recommended that you download all items within these 2 sections. Note: Weather should be updated every time you use Avare.